We strive to recognize the best short films created by filmmakers 24-and-under from around the world. We are also committed to awarding work created in an academic environment, and also by filmmakers on their own time (and often their own dime). We are proud to announce that a $500 cash prize will be awarded to top Jury Award categories listed below. 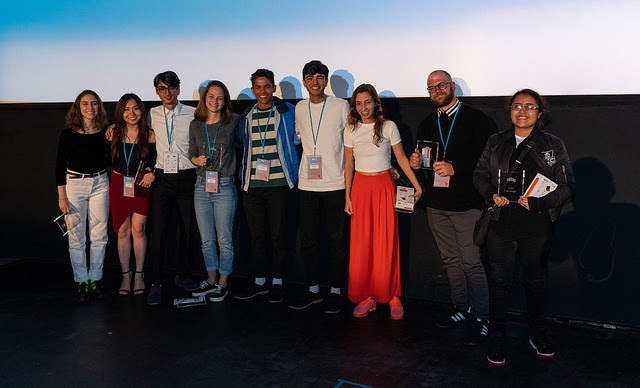 It is a renewed commitment by NFFTY to put real money into the hands of young filmmakers, and give them the meaningful recognition their work deserves. For more information on submission rules and criteria, please read below. The film’s director(s) must have been 24 years old or younger at time of filming. For how you submit, and what happens if you’re selected, check out our Rules & Guidelines page. Got more questions? Check out our FAQ page. Want a mini-poster sized flyer you can print and hang in your classroom/media lab? You can find it here. Looking for more information as an educator, including submitting films on behalf of your class/program? Visit our Educators page on our website. Feature – any narrative film over 30 minutes in length. Short – any narrative short film under 30 minutes. Documentary – documentary of any length. Music Video – music video of any length. Animation – any form of animation, any length. Experimental – any length film that does not fit the mold of typical filmmaking. Note: Public Service Announcements, commercials, and/or film trailers are not eligible for consideration in any category.